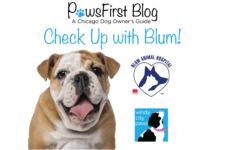 Welcome to Part 3 of the Massage for Dogs series from ARFit Dog Therapy Chicago. If you haven’t read Part 1 and Part 2, we encourage you to start there! The professionals at ARFit Dog Therapy Chicago use a variety of massage techniques to improve your pet’s well being. Read on to learn more about these techniques and how you can use them at home! Once you have set up your work area as described in part 2 of this series, you are ready to massage. First, have your pet lie in prone or on their side. Either position is fine. You can even start in standing or sitting if they’re not quite ready to lie down. They will eventually relax and lie down of their own accord. Start with light, slow petting strokes along the right or left side of the spine and slowly descend down to the base of the tail. Avoid pressing directly on the spine. Perform 5 – 10 light, slow strokes and progressively increase your pressure and depth until you are pressing firmly enough to slightly compress the skin. Imagine pressing through the skin about 1/8 to a 1/4 inch below the surface until you can feel the muscle underneath. Lighter for smaller dogs and deeper for large breed dogs. If you’re moving your pet with your pressure, you are pressing too hard. Always start gently and progress slowly. Massage should always be pleasant. After 5 – 10 gentle, long strokes on each side of the spine, move out to the shoulder blades and lateral sections of the neck. Begin with small, light circles using the tips of your fingers and working in both clockwise and counter clockwise directions as you gently press deeper. You may discover some areas of muscle that are harder than others especially between the shoulder blades. As you locate these spots, lightly stroke back and forth over the area with slightly faster and very short 1/2 to 1 inch strokes using light pressure as if you were flicking a rubber band or a guitar string. This technique is called strumming and can be very effective for relieving tight muscle. Again, light and gentle is key. 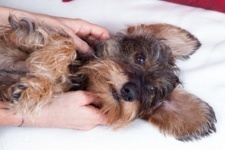 If your dog shows signs of discomfort, lighten your pressure even more. Once you have worked the shoulders and neck, progress to the limbs. It is best to start distally (at the paws) and massage toward the body. 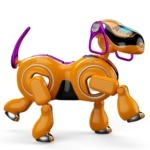 This is to help move any fluid in the direction of your dog’s circulatory system. Massage of the limbs is most easily performed with your pet side lying. If they are laying on their left side, treat the right fore limb and hind limb, then gently roll them over for the other side. Start with the toes and lightly stroke each one toward the heart. Also lightly bending and extending each digit gently. Check for any wearing of fur and or skin along the dorsal knuckle area. Wearing in this area may indicate weakness of that limb due to dragging during ambulation. Check for any tender spots in the toes and claws. Once the toes are massaged, using your fingers, gently stroke up the wrist/ankle, up to the elbow/knee to the shoulder/hip to promote circulation toward the heart. Effleurage is the primary technique to perform on the limbs. Long, light strokes from the fingers and toes towards the body. 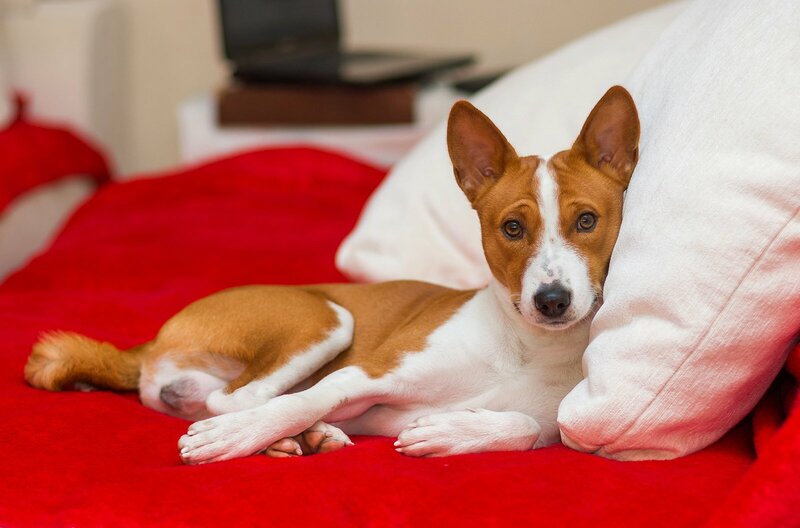 If tight spots (trigger points) are detected, light strumming can again be performed to your pet’s tolerance. You may also gently bend each joint in a comfortable range noting any stiffness or discomfort. Extension of the hips in side lying can be very pleasant for your pet. If they resist the stretch, do not force them into extension. This may be a sign of hip pain and/or osteoarthritis and should be mentioned to your vet or dog therapist. *It is best to avoid massaging your dog’s belly. Leave treating that area to a professional. Your dog’s organs are exposed and very sensitive. Only light petting on the belly is recommended. 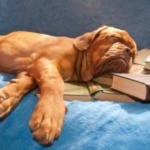 *Massage is also a good time to examine your pet for lumps. Any lumps should be shared with your veterinarian for further testing. *Leave deep tissue massage to a professional. Remember, we are teaching you very gentle and basic techniques. 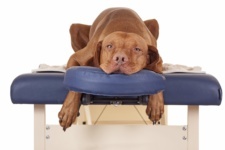 If you think your dog could benefit from deep tissue massage, make an appointment with your vet or dog therapist. Deep tissue massage should be performed by a professionally trained and certified dog therapist who is familiar with dog anatomy. Congratulations! You are now ready to embark on a wonderful way to love and connect with your pet! Enjoy the journey!